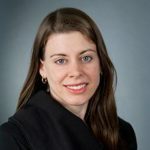 Dr. Karen A. Grépin is an Assistant Professor of Global Health Policy at New York University’s Robert F. Wagner’s Graduate School of Public Service. She holds a Ph.D. in Health Policy and International Health Economics from Harvard University and an S.M. in Health Policy and Management from the Harvard School of Public Health. Her research focuses on the economics of health service delivery in developing countries, with a focus on sub-Saharan Africa. In particular, her work focuses priority setting in health systems, factors affecting the demand and supply of maternal health services, and the effectiveness of development assistance for health. She is the author of a well read a global health blog (http://www.karengrepin.com), which focuses on issues related to global health and global health policy and is an active participant on Twitter (@KarenGrepin).